I was tagged to do this post by Alexandra from The A Style, and I had also been thinking about doing this tag seeing as a lot of bloggers have been doing this. 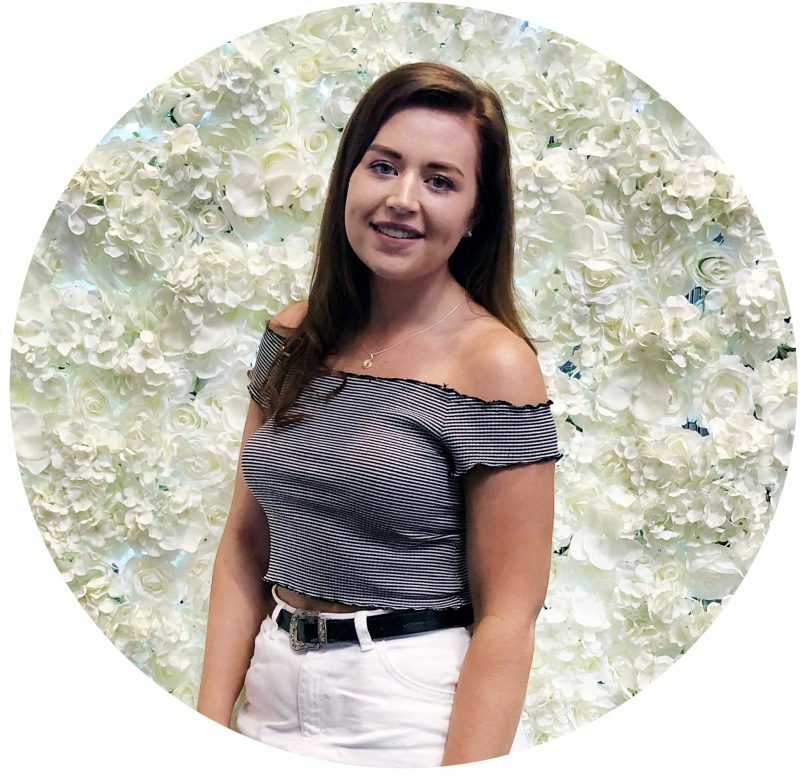 I love tag posts as it allows you guys to know a little more about the blogger, whilst it also being quite a fun thing to do! So let’s get straight into this! 1. Who are your most influential bloggers? Who are the ones you really rely on for reviews and swatches? My most influential bloggers, or my favourites have to be Lily Pebbles, Lily Melrose, Kate, Anna and Sammi. I love their blogs and youtubes, and their reviews are always spot on for me. Somehow they always review products that I end up lusting after. As for swatches, there isn’t a particular blog as such that I will always go to, I just generally have a look around and see who has reviewed the products in question. 2. Do you buy a product solely as a result from one review of your favourite bloggers, or do you look for more reviews from others? A bit of both. One review will spark the initial lusting of a product but i’ll then go and research a little more into the product in order to fully decide whether I need it. This is so hard to answer as there are so many items, but as for miracle products i’d have to go with the Nuxe Reve De Meil Lip Balm. I saw so many bloggers raving that this was the product that would sort out dry lips and i’m glad that it has lived up to that otherwise i’d be crying over it’s flipping expensive price tag! 4. What is your least favourite product that you have ever bought as a consequence of blogs? Without a doubt the Rimmel Apocalips. I know a lot of people love these, and initially I enjoyed using them but they are so so messy and I just found their highly pigmented wet look just did not suit me. 5. Name five products that you have recently bought as a results of blogs? 6. Have you ever given into blogger hype? If so, which hype? So many, too many to recall but my most recent has probably got to be the Nars One Night Stand Palette, as I initially wasn’t going to purchase it and when loads of reviews started cropping up, I just knew I had to have it and I luckily managed to get one of the last ones! I’m trying to think of a hype that I haven’t given into, up until literally last week I hadn’t given into the Revlon Lip Butter hype but I guess that doesn’t count anymore. So probably, the cream blusher hype.. I don’t own any and I don’t know if I ever will. I just don’t like the thought of them for some reason. 8. Is everything you buy based on blogger reviews or are there some items that you buy without checking a review? Again, a bit of both. A lot of things I purchase are based on reviews, but there are a few products that I pick up without reading reviews mainly drugstore items as they are a lot more affordable and I won’t be too disappointed if they turn out to be rubbish. 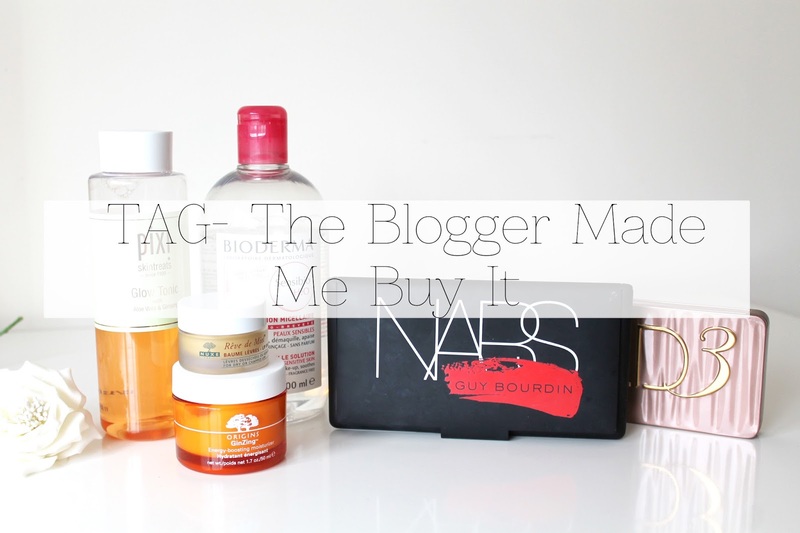 So thats my take on The Blogger Made Me Buy It Tag! Thank you to Alexandra for tagging me as I really enjoyed answering these questions, and I hope it’s given you guys a little more insight to me. As a lot of my favourite bloggers have already done this tag, I tag anyone who wants to do this tag to do it! Leave your links down below if you’ve also done this tag!